Dementia is a general term describing a series of symptoms, often found in elderly adults, that inhibit the quality of daily life. These symptoms include forgetfulness, confusion, wandering, repetitive speech and more, and at a certain stage begin to tax the ability of person’s loved ones to care for them. When that time comes, a memory care facility can offer a caring, comfortable alternative with services to arrest the progress of the symptoms. There are roughly six million Americans living with dementia, and yet most of us are unclear about what dementia is and how a memory care facility can aid those struggling with it. Dementia is an umbrella term to describe all symptoms of impaired thinking and memory that’s severe enough to inhibit daily life. Alzheimer’s is a specific disease – degenerative and incurable – which affects parts of the brain that control thought, memory and language. Alzheimer’s comprises 50-70% of dementia cases. There is a genetic component to Alzheimer’s, but like all inherited traits, it doesn’t guarantee you share the propensity. Dementia, because the causes often are not known, is generally not thought to be inherited. In short, no one really knows whether they will suffer from dementia as they age until they do. Dementia is not a natural part of aging, though it is not uncommon. Eating nutritious foods, avoiding processed foods, exercising regularly, keeping mentally engaged and generally maintaining good health are helpful to prevent or delay the onset of dementia. In short, a healthy heart and brain help keep dementia away. Repeated concussions or long-term drug abuse may increase the risk of dementia, but research on this is not conclusive. The connection between aluminum cookware and dementia is a myth based on flawed science in the 1980s that was quickly debunked. If only that were true. There is no scientific evidence connecting gingko to dementia prevention. There is some evidence that resveratrol, an ingredient in red wine, may offer some protective qualities, but you would have to consume your body weight in wine every week to see any positive impact, a solution with disastrous side effects. Remember, dementia is merely a description of symptoms. Depending on its cause, it can be arrested or even reversed. 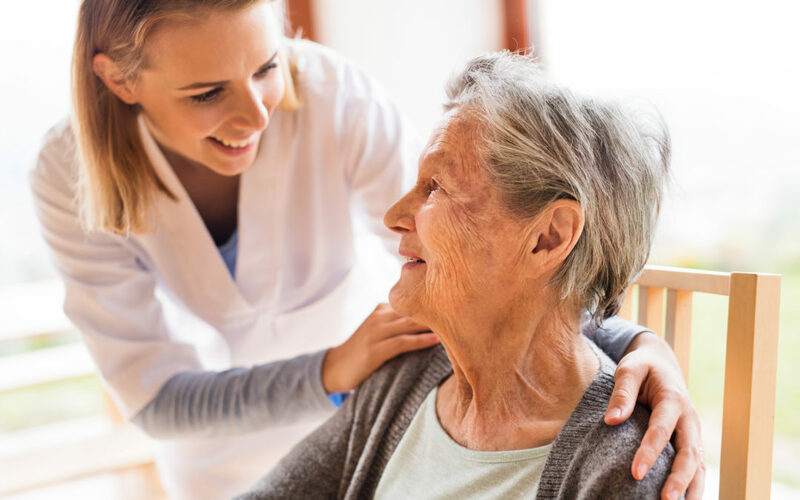 More often, because it is a progressive condition, there are steps caregivers can take to slow its advancement and compensate for lost cognitive abilities, especially in early stages. Professional caregivers at a memory care facility are experts in treatments that slow the onset of dementia, like brain fitness exercises and memory games. These and other activities help give residents satisfaction and a sense of purpose. Nye Health Services offers seven communities in Eastern Nebraska and Wyoming, structured to meet the needs of their residents from independent living to skilled nursing care. A family-owned company with a rich history of connecting with the people they serve, Nye Health Services is open for visits anytime. Call 402.753.1400 to schedule an appointment at locations in Fremont, Lincoln, South Sioux City, Norfolk, or Jackson Hole, or visit nyehealthservices.com for more information. 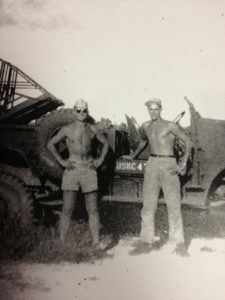 His military career and rank gave Bob Morris his commonly used title of Captain Bob, but his beliefs shaped his adult life. After a childhood in the East and seven years as a Marine, he came to Jackson to support candidates who opposed the Vietnam War. Let’s dig into his history a bit—Captain Bob’s early years were spent primarily at his family home near Central Park in New York City where his father was an attorney. Like lots of people, his favorite time of the year was summer. He spent the first half of each summer at his grandparents’ home in Massachusetts and the second half by the ocean in Southampton on Long Island. When he was twelve years old, he entered Groton School in Massachusetts. Later he attended and graduated from Yale where he majored in history, focusing on American and European history. He entered the Marines as an officer candidate. After some time at Quantico Base in Virginia, he was sent to Okinawa and Japan (during the last battles of WWII), before returning to the U.S. where he was stationed first at Yorktown Naval Base and then at Camp Lejeune in North Carolina. A Marine Commandant under whom he served was passionately outspoken against the war in Vietnam. 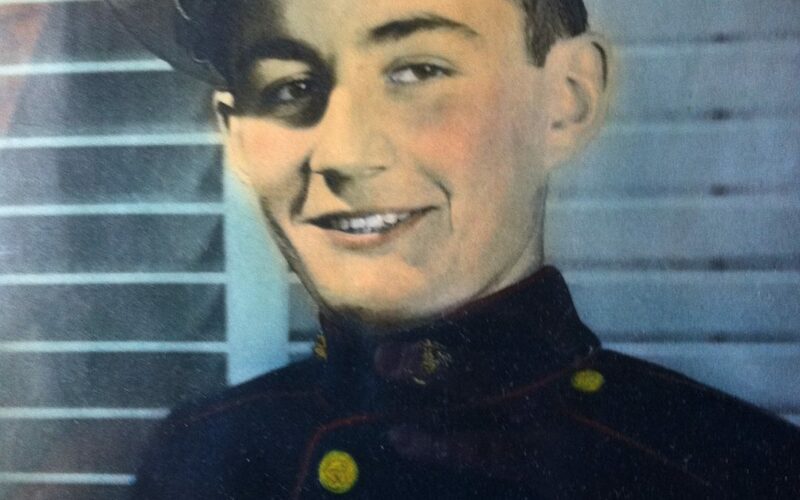 Following seven years in the Marines, he was discharged and went back to Connecticut and a happy life there. However, after two years, thinking of the thousands of young Americans getting killed in Vietnam, he became a political activist. He flew to Jackson to support a political candidate who was against our participation in the war. Finding he liked Jackson, he bought a condo here and made this his home. Many people remember that he founded and broadcast from the first radio station here after procuring a license from the FCC (Federal Communications Commission) and the necessary equipment. Ask anyone who has lived in Jackson for a while, they will start to quote Captain Bob’s commercials. 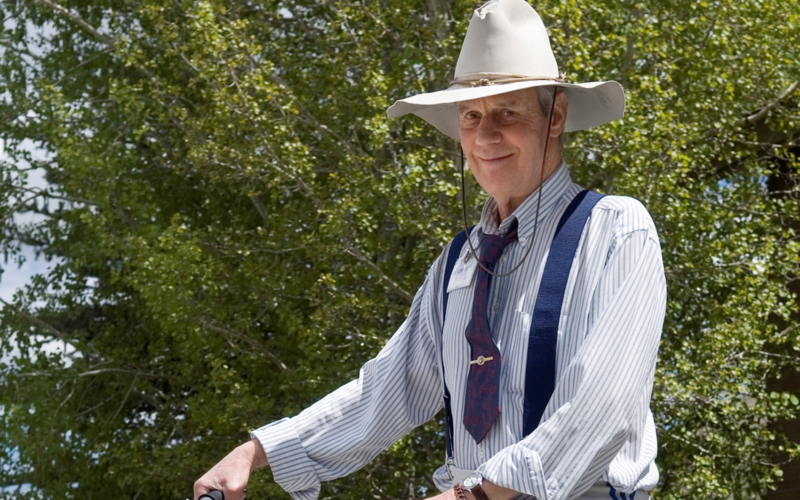 “It only takes one minute of living in Teton County to register to vote!” His ads ran so frequently (like favorite commercial jingles) that everyone clearly remembers them. Whether he was running for office, promoting a candidate, fighting for a proposition or raising awareness of local and national issues, Bob could be counted on to get his voice heard. His commercials ran every single day for 12 years. People here also remember he lived simply. He lived in Teton Village and instead of owning a car and driving, he either hitchhiked or rode a bike into Jackson. To paraphrase the old Frank Sinatra song, Captain Bob took some blows, but he did it his way. He faced it all, stood tall, and he did it his way. Today, he continues to stand tall and do it his way. All our adult lives we purchased the largest homes we could afford. We asked these homes to shelter us and raise our families and keep us comfy in the summer heat and winter cold. Every month we made that mortgage payment so we could stay. But when we reach a certain age, oftentimes that home no longer meets our needs. Where we were once a family of four or five, now we’re a couple, or even an individual clanking around in all the empty spaces. Where once our pay grew steadily, now we’re on a fixed income and hoping our money sustains us through the years. 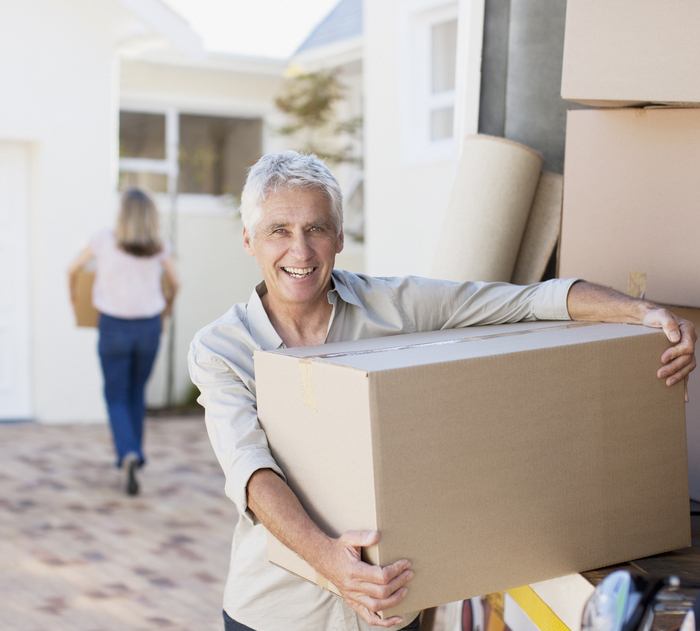 When seniors think about moving, they generally have paid off all or most of the house they’re leaving. Depending on whether you buy a smaller place or rent, you can take all or some of the value of your old home and live off it. How valuable this is to you is a matter of how the numbers work for your particular situation. It’s not just a smaller mortgage payment that downsizing can bring, it’s lower utility costs, homeowner’s insurance, maintenance, repairs and taxes. The difference can easily add up to hundreds of dollars each month that can fund your retirement. Unless you lived in a sprawling ranch, your old home likely had more than one floor. Moving into a smaller place all on one floor eliminates stair climbing, a concern as we age. That might not be an issue today, but may become more relevant over time. Downsizing to an apartment, condo or senior community eliminates the need to shovel snow, cut grass, clean gutters and so on. For aging adults who are active, this allows the freedom to travel and explore new opportunities. For those who are experiencing increased physical limitations, it’s even more valuable. The entire neighborhood might have been your age when you moved into your single-family home, back when the kids were small and you were a younger parent. If your neighborhood is still filled with young families, this is an opportunity to move into a retirement village with other people your age who share your interests. These communities often offer housing that allows residents to remain in their homes as they age and require more services. As we age and our children move away, our needs change. If you purchased your home 20 or 40 years ago because of its proximity to work and good schools, you might today care more about being near cultural happenings, or around the grandchildren. People who move from a big house made for children built decades ago into an apartment, condo or townhouse often find they get the modern appliances and other amenities they’ve been missing for years. Moreover, they are the amenities suited to a senior lifestyle. Seniors have to relinquish so much – their youth, their eyesight, physical activities they enjoyed when younger and even dear friends and spouses. Often, they want to hold on to the treasures that remind them of the good times passed by. But clutter has its price. It can interfere with basic tasks like cooking and cleaning, and often contributes to an environment more prone to falls. It can make it difficult to find needed items among all the memorabilia. It can cause mold and mildew, or simply collect dust. And, of course, it takes up space. So, it’s important for seniors to declutter. Helping your loved one pare down their belongings requires diplomacy and a plan. If they are highly attached to their things, and the memories they represent, you’ll need to provide empathy and support. Stuff has the exact value we assign to it. If something is very important to your loved one, it may be worth keeping even if it has no value to anyone else. At the same time, you won’t get any decluttering done if they deem everything important. Take a look at everything they have to get a sense of how much and what kind of items you’re dealing with. Confucius said that even a thousand-mile journey begins with a single step. You may not be able to tackle it all, so start with one room and consider cleaning it up an accomplishment. You can help your loved one part with things by adding value to their departure. Get four boxes and label them Keep, Friends, Donate and Trash. Divide their belongings into those four categories – things they cannot part with; things they want to give as gifts to friends and family; things that are no longer of use to them but might be of value to strangers; and things whose only value is sentimental but are otherwise junk. Encourage your elder to consider carefully in which box each item should go and offer guidance if they are inclined to dump junk onto friends, or avoid throwing anything away. Because some of the materials you encounter will have stories attached, give your loved one space to tell the stories and engage with the memories. It may not mean much to you, but it will to them. It’s critical that you monitor the physical and emotional toll the process is taking on them. If they are running out of gas, take a break or stop for the day. Even if they’re physically fine, keep a close eye on their emotional state. Don’t let it get to the point of overwhelming them. Once you have everything categorized, follow through. Organize items from the Keep box to minimize the remaining clutter. Go with your loved one to give away the items to friends and family. Take them on the trip to Goodwill or the Salvation Army so they can see the donation completed. It will provide closure on those items and help them feel good about relinquishing things of value. For people who grew up with rotary phones, encyclopedia sets and the Sears Roebuck catalog, today’s technology can be disorienting. Many adults – not just seniors – turn up their noses at social media and the ubiquity of phones. While technology can be mindless, anti-social and all-consuming, it also confers plenty of benefits on those who use it to improve their lives. In fact, there are numerous technological advancements that can make life easier for seniors. If the grandkids can’t make it across the country to visit grandma with their new baby, at least they can show their faces using the consumer-friendly technology of video chatting. Skype and Facetime are the best known of the video chatting services, all of which allow video and audio connections between users no matter the distance. It’s not a gimmick; it’s a great advancement of particular value to the elderly who aren’t as mobile. The sound is better and the aesthetics are solved with today’s hearing aids, which can be made so small, thanks to the miniaturization of the electronics, that they’re essentially unnoticeable. Add wireless transmission and you have crystal clear sound. Hearing is easier than ever for today’s seniors. No more yelling that you’ve fallen and can’t get up, like a widely-mocked late night TV commercial. Today’s emergency response systems can be worn inconspicuously on the wrist or on a belt, and alerted with the touch of a button, sending out the exact location of the wearer. Best of all, it’s mobile, so grandpa has backup no matter where he goes. To read a book, seniors with vision issues used to have to travel to the library and take out a large print book, if there was one on the shelves that they wanted to read. Today, they can download books to their tablet or e-reader and adjust the font size to their liking. Although there is a cost, many libraries now lend e-books for free. These systems remind their owners to take their medications, dispense the proper doses, calculate and report missed doses, store health information and contact pharmacies for refills. Many of them are even HIPPA-compliant. 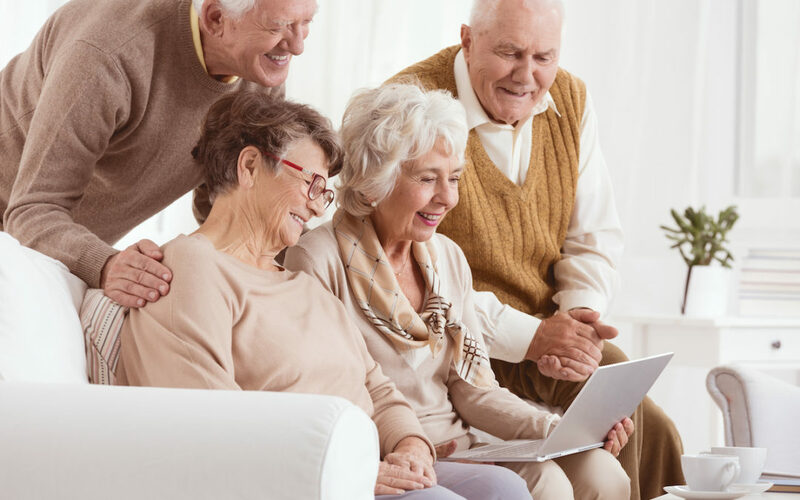 Thanks to the online connectivity of the systems, family members of seniors who have trouble keeping track of their prescriptions no longer have to worry. Technology makes it easier to ensure you stay active as you age. Most smart watches and activity trackers will track your steps, calories burned during exercise and even your resting and active heart rates. Some higher-end models, such as the Apple Watch, can even help detect irregular heartbeats, which can alert users to a possible heart situation that needs addressed. You can share your daily progress with friends, and even test your loved ones with activity challenges to see who can meet and exceed their fitness goals. Technology doesn’t have to be silly and time-wasting. There are plenty of products specifically designed for a better life. Nye Health Services  offers seven communities in Eastern Nebraska and Wyoming, structured to meet the needs of their residents from independent living to skilled nursing care. A family-owned company with a rich history of connecting with the people they serve, Nye Health Services is open for visits anytime. Call  402.753.1400  to schedule an appointment at locations in Fremont, Lincoln, South Sioux City,  Norfolk, or  Jackson Hole, or  visit  NyeHealthServices.com  for more information.